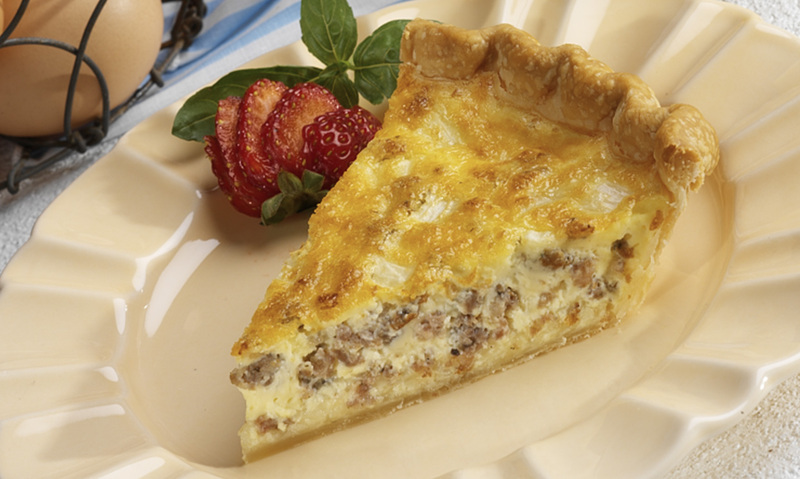 Swiss cheese and roasted red peppers lend a savory flavor to this sausage quiche. Crumble and cook sausage and onions in medium skillet over medium heat until sausage is browned. Cover bottom of pie crust with sausage and onions. Top with cheese. 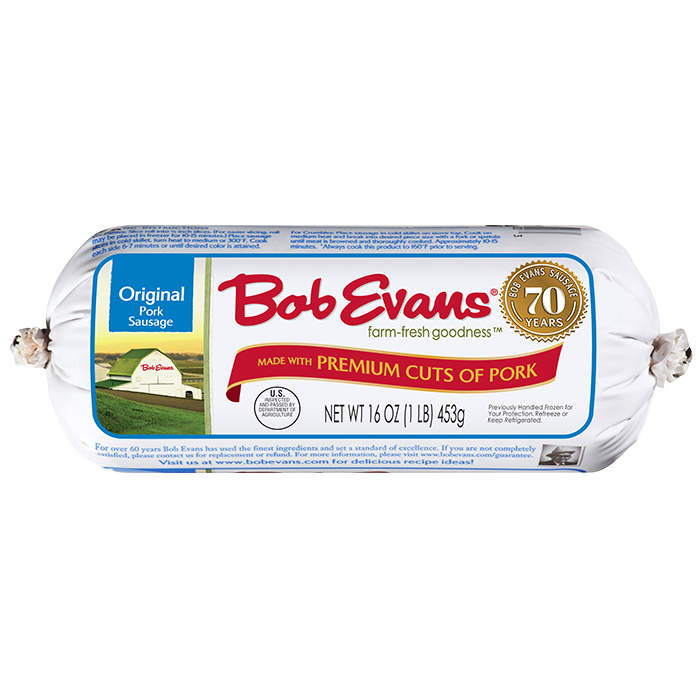 Combine eggs, half and half, salt and pepper in medium bowl; mix well and pour over sausage mixture. Bake 15 minutes. Reduce oven temperature to 350F. Bake an additional 20 minutes, or until browned and well set. Let stand 5 minutes before cutting into wedges. 2 Crumble and cook sausage and onions in medium skillet over medium heat until sausage is browned. 3 Cover bottom of pie crust with sausage and onions. Top with cheese. 4 Combine eggs, half and half, salt and pepper in medium bowl; mix well and pour over sausage mixture. 5 Bake 15 minutes. Reduce oven temperature to 350F. Bake an additional 20 minutes, or until browned and well set. 6 Let stand 5 minutes before cutting into wedges.